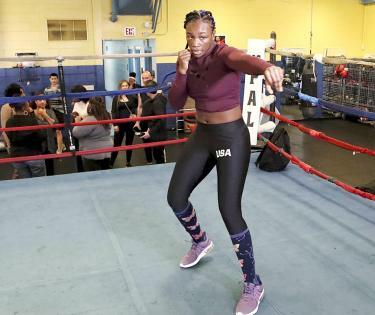 APClaressa Shields won Olympic gold in 2012 in London and returned home with only a minimal bump in fame. “I’d tell people I won the gold medal and they’d say: ‘Yeah, right,’” she said with a laugh. When that dare got old, Shields simply started carrying the gold medal with her and flashed it to her skeptics. Four years later, when Shields won boxing gold again in Rio, she hid the London medal in her warmup jacket pocket. Shields could continue to lead the evolution of women’s boxing the way Ronda Rousey did for mixed martial arts and bring the fight game into the mainstream. Tournaments that take place during the season along with league games intrigue NBA Commissioner Adam Silver as a way to change the format of the league’s 82-game season. Silver on Friday mentioned everything from shorter games to a shorter season as ways the NBA could make its future product better for players and fans. “The format we have in place now — I’m a traditionalist on one hand, but on the other hand it’s 50 years old or so, presenting an 82-game season, and there’s nothing magical about it,” Silver said. “If ultimately the science suggests that 82 games is too many games for these players, maybe you shouldn’t have an 82-game season,” Silver said. Tournaments could be an answer, even if 82 games remains the format. In July 1984, acclaimed author and runner Jim Fixx died of a heart attack while trotting along a country road. Fast-forward 35 years, and Boston Marathon race director Dave McGillivray is amplifying that message for marathoners, especially those who have coronary artery disease or a family history of it. Neither McGillivray’s marathon personal best of 2 hours, 29 minutes, 58 seconds, nor his decades of involvement in the sport could protect him. The Boston Marathon and other major races place defibrillators along the course. “Running is good and we want people to be active, but your running doesn’t make you invincible,” Harris said. AFP, TOKYODescribed as the Phil Taylor of women’s darts, Japan’s Mikuru Suzuki already has plans to dominate the sport after becoming the first Asian player to capture a world title. “It really didn’t sink in until I got back to Japan,” Suzuki said in an interview. She followed her world title with further success at the Dutch Open, winning both the singles and doubles, alongside Yuriko Yamaguchi. 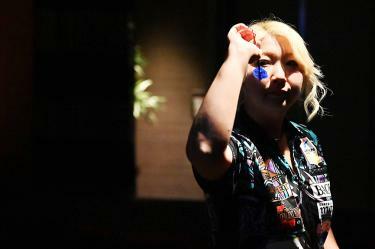 With only about 1,600 professional players nationwide, and fewer than 350 of them women, darts has yet to enter the mainstream in Japan. However, Suzuki, who has climbed to third in the World Darts Federation rankings, hopes to provide the spark for a new generation of female players. AFP, WELLINGTONA crucial try by the “Japanese Jonah” Ataata Moeakiola yesterday helped the Waikato Chiefs down neighbors the Auckland Blues as the ACT Brumbies got back to winning ways in a hard-fought battle against the Lions. 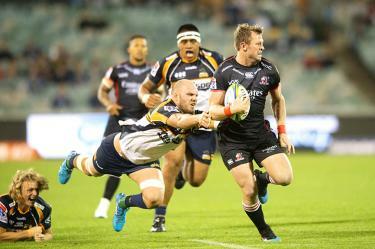 The Chiefs’ 33-29 win in Hamilton continued their revival. After a disappointing four losses to start the season, they have now strung together a draw and three consecutive victories. He scored what proved to be a decisive try with his first touch to give them a crucial cushion. Moeakiola, who earned the nickname “Japanese Jonah” with a string of outstanding performances at the World Under-20 Championship in 2016, crashed over after Chief’s standout midfielder Anton Lienert-Brown had opened up the Blues defense. AFP, SHANGHAIValtteri Bottas yesterday pipped Lewis Hamilton to pole position for today’s milestone Chinese Grand Prix in a dominant Mercedes front-row lockout. Sebastian Vettel was third-fastest for Mercedes’ archrivals Ferrari for the race in Shanghai, Formula 1’s 1,000th grand prix. Bottas, who leads the world championship and is one point ahead of title-holder Hamilton after two races, scorched to a best time of 1 minute, 31.547 seconds. That was just 0.023 seconds ahead of Hamilton, who struggled with his Mercedes in practice and has voiced concern about Ferrari’s superior straight-line speed. Earlier, Toro Rosso’s Alexander Albon lost control and smashed at high speed toward the end of final practice, so did not take part in qualifying. Pochettino’s understudies filled in nicely as Kenya midfielder Victor Wanyama rolled in the opener before Brazilian forward Lucas took center stage with an eye-catching treble. Tottenham have settled well in their new London home and already-relegated Huddersfield provided the ideal warm-up for Wednesday’s Champions League quarter-final second leg at Manchester City. It was a reassuring afternoon for Tottenham, whose 1-0 quarter-final first leg win against City on Tuesday came at a heavy cost. All eyes were on Fernando Llorente and Lucas to see if they could fill the gap left by Kane and Son up front. Newcastle’s first away league win since December last year ended a run of four games without a victory that had threatened to drag them into the relegation dogfight. By Jason Pan / Staff reporterFreedom of speech must not be used to shield media outlets from rumor-mongering and circulating false reports that undermine democracy, the Democratic Progressive Party (DPP) caucus said yesterday. It is vital to establish the code of conduct and guidance for media outlets,” Kuan said. However, after questions from agricultural officials and other media outlets, he said that not so many were dumped. The lawmakers demanded that the body uphold freedom of expression and treat all media outlets on equal terms. 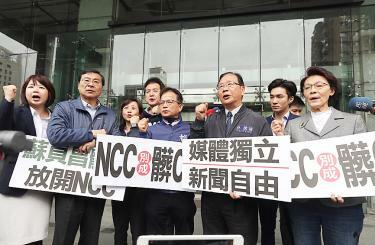 The NCC has become a political tool of the DPP government to silence media outlets, Lai said. 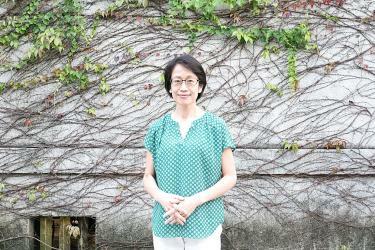 Atsuko Sakai, director of Taiwan Jinsei (2009), Taiwan Identity (2013) and Taiwan Banzai (2017), said that her films focus on historical events and attempt to capture the vitality of Taiwanese. In Taiwan Banzai, Sakai traveled to Chenggong Fishing Harbor in Taitung County to interview a retired captain of a fishing boat that specialized in catching swordfish. She recorded him singing Japanese fishing songs and also captured footage of him working in the fields. Taiwan Banzai showcases the spirit of returning to the “origin of things,” something she said that Japan is losing. For example, the Taiwanese family members cherish each other and how Aboriginal cultures respect nature are being lost in Japanese society, Sakai said. 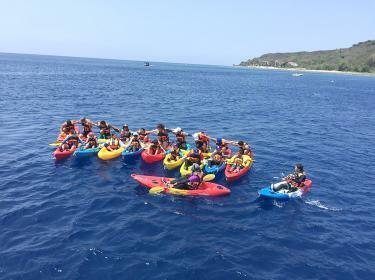 By Chen Yan-ting and Jonathan Chin / Staff reporter, with staff writerLiouciou Elementary School in Pingtung County on Wednesday concluded its annual adventure sports challenge for older students to circumnavigate Siaoliouciou Island (小琉球) in canoes. Parents and volunteers followed the canoes in motor boats to keep the students safe, he said. They were accompanied by 16 fifth-graders, who came along to prepare for their own rite of passage next near, he added. The fifth-graders went back to school the following day, leaving the graduating class to finish the 6.2km return leg. “The were very excited to spot the International Space Station.”The school would like to thank the parents, volunteers and guides for their assistance, he added. Reuters, BEIJINGChina’s exports rebounded last month, but imports shrank for a fourth straight month and at a sharper pace, painting a mixed picture of the economy as trade talks with the US reach their endgame. Exports rose 14.2 percent from a year earlier, customs data showed yesterday, the strongest growth in five months. However, imports fell more than expected, suggesting its domestic demand remains weak. Imports fell 7.6 percent from a year earlier, worse than analysts’ forecasts of a 1.3 percent fall and widening from February’s 5.2 percent drop. In the first quarter, exports rose 1.4 percent from a year earlier, while imports fell 4.8 percent. About 4 million children develop asthma every year as a result of air pollution from traffic, equivalent to 11,000 new cases per day, the newspaper said, citing a study published on Wednesday in the Lancet Planetary Health journal. The damage to children’s health is not limited to China and India, where pollution levels are particularly high, it said. In cities in the UK and the US, researchers identified traffic pollution as being responsible for one-fourth of all new childhood asthma cases, it added. Kuwait has the highest per capita rate of new traffic-related asthma cases among the 194 nations analyzed, equivalent to 550 cases per 100,000 children each year, followed by the United Arab Emirates at 460 cases per 100,000 children and Canada at 450 cases per 100,000 children, the study said. Children are especially vulnerable to toxic air and exposure is also known to leave them with stunted lungs, the newspaper said. 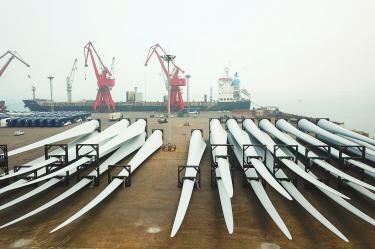 Hon Hai has been awarded 14,413 IP rights over the past year, Clarivate said. For Hon Hai, intellectual property is a tool and an asset to commercialize its technologies and to generate cash, rather than simply serving as a defense in litigation, he said. Jou was a formal general counsel of Hon Hai, a major assembler of Apple Inc’s iPhone series. Representing Hon Hai, Jou was once involved in legal disputes between Apple and Qualcomm Inc.ScienBiziP, which is 51 percent owned by Hon Hai, is in charge of developing and managing Hon Hai’s and Sharp’s IP portfolios. 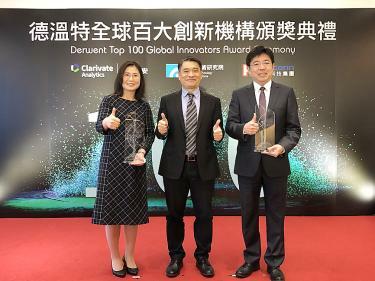 Hon Hai has been prioritizing patent coverage in the US and China with 6,000 filings each year, down from 30,000 a year before, given improving efficiency and effectiveness. The coalition said that it has already translated two pieces of Australian legislation on countering foreign interference. Evidence that has surfaced of Chinese attempts to take over Facebook groups and spread disinformation are worrying young people, said Liu Heng-wei (劉恆溦), president of 02 Group, a National Cheng Kung University student club. “When the enemy has guns and artillery aimed at you, there is no room for hesitation,” Liu said. 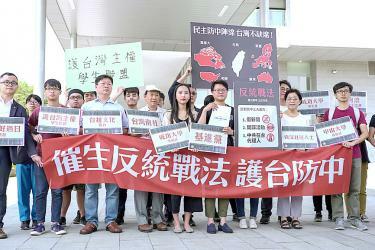 Such legislation would show the international community that Taiwan is not a part of China, National Cheng Kung University Department of Taiwanese Literature professor Taifallo Chiung (蔣為文) said. 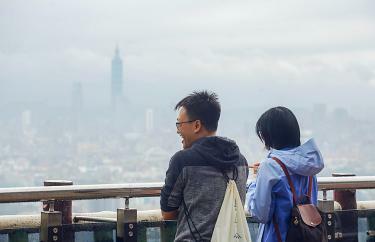 Foreign disinformation in Taiwan has reached levels that cannot be ignored, said Lin Wen-chi (林玟圻), a member of Free Takao, a National Sun Yat-sen University student club, citing reports from the University of Gothenburg and Reporters Without Borders. Changing its tune, TPK yesterday said it has signed a letter of intent to invest US$230 million in a consortium, Suwa Investment Holdings LLC, that would acquire a 49.82 percent stake in Japan Display. The consortium plans to subscribe to ￥42 billion in new shares issued by Japan Display and to ￥18 billion in convertible bonds issued by the Japanese firm, TPK said in the statement. TPK also inked an agreement with Japan Display to form a display business alliance, aiming to boost its role in the display supply chain, enlarge its customer base and expand its market share in automotive displays. TPK has been trying to break into the automotive display market, but has not made substantial progress, but investing in Japan Display could be a shortcut to achieving that goal, Hsieh said. Japan Display counts auto part supplier Denso as one of its major clients, he said.